The dry red outskirts of Longreach, the towering chimney stacks of Mt Isa and the dugongs swimming in the aquamarine waters on Gulf of Carpentaria are just some of the highlights to look out for in Out-N-Back 2, currently in post-production. 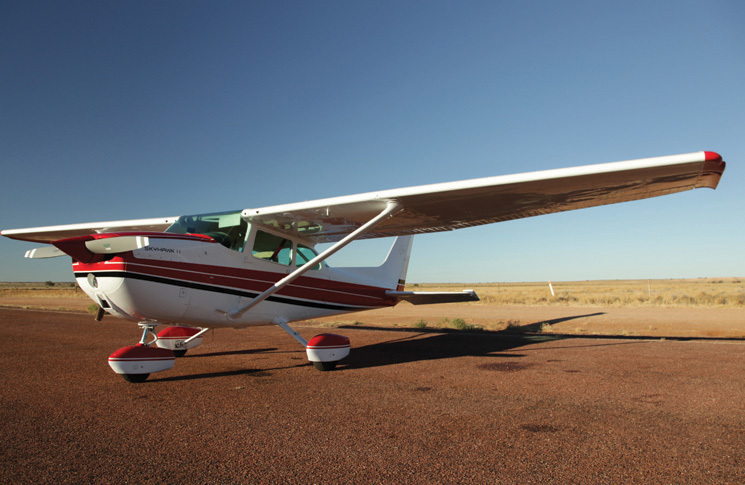 The CASA-produced mini-series follows a Cessna 172 flight and looks at the issues VFR pilots face as they fly around the remote interior of Queensland, up to Cape York Peninsula and returning via the coastline and eastern regional areas of the state. The crew of seven spent 23 days ‘on the road’ (so to speak) and flew more than 3350 nm with 29 take-offs and landings. Technology is at the forefront of this series. The series is filmed digitally using lightweight Canon 5D SLR cameras and lightweight GoPro cameras were also installed on the tail, struts and cockpit of the 172 to give viewers a bird’s eye view of the spectacular Australian landscape. Senior producer Dean Covell promises Out-N-Back 2 will be more in-depth than its predecessor. ‘We’ve interviewed a broader range of locals at each location including flying doctors, musterers (drone operators) and engineers,’ says Covell. ‘Our safety messages are implicit and hands-on and we’ve covered 36 up-to-date current safety topics ranging from emergency? Flight bags to ageing aircraft to refuelling in remote areas. Here’s an overview of the journey including highlights and interviews. An up-to-date website will launch the series in mid-2016. Sydney Weekender’s Pete Wells hosts Out-N-Back 2 and the presenter—who has summited Mount Everest and paddled a surf ski across Bass Strait—says he was quite astounded by the vastness of the country from the air. ‘It wasn’t ever diluted—in fact it only grew honestly. I’m just not used to being so mobile at such low altitude and relying on a little machine flying between 500 feet up to 9000 feet. The pilots did their pre-flight planning while the rest of the team weighed in their entire luggage with a strict seven kilo luggage limit for personal items. All crew briefed on the route ahead. First stop is Goodwood Station near White Cliffs in outback NSW. 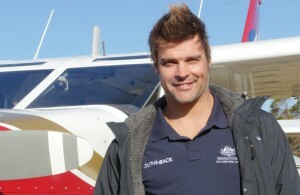 Presenter Pete Wells interviewed Barry Turner about his aviation experience and landing on outback strips. The crew stay overnight in shearer’s quarters. The team depart Goodwood Station stopping in at Tibooburra to refuel. They meet the local refueller who is also the owner of the local pub. Arriving at Birdsville they check in to the famous Birdsville Hotel, a very short walk from the aircraft. Wells interviews Darren, a bartender at the Birdsville Hotel, who is also a trained refueller for the nearby airport. He explains how important aviation is to the Birdsville community. Wells also speaks to a gentleman who is riding his penny-farthing around the town. Departing Birdsville the crew fly over a lot of featureless terrain on the way to Mount Isa. There’s a short stopover at Boulia where the crew meet Ronnie from the local council who assists with the refuelling of the aircraft. Wells asks him about the Min Min light phenomena and he had an interesting story to tell! That night, CASA Aviation Safety Advisor, Brad Johnson holds an AvSafety seminar in Mount Isa attended by young pilots and filmed by the crew. After overnighting in Mount Isa, Wells interviews Mark Stuart Russell from the Mount Isa base of the Royal Flying Doctor Service (Queensland Section). He speaks about the preparation that goes into an aeromedical retrieval in emergencies. No interviews today, but the red earth of the Outback gives way to the blue snake-like rivers of the Gulf of Carpentaria. On our way to Karumba, the team spots a dugong and a manta ray swimming in the waters in Gulf of Carpentaria. On the way to Cooktown the crew touches down at Kowanyama where they’re greeted by Kowanyama State School students who were interested in having a look inside the two aircraft. Some of the students even pretend to be pilots! The flight crew make the decision at Kowanyama not to fly to Horn Island as planned. We would be able to get into the airport but there was no guarantee that we’d be able to get out due to less than ideal flying weather conditions. As the crew flies east to Cooktown they land at Laura to refuel the aircraft and themselves. It seems as though hundreds of galahs have also gathered to refuel as well. After overnighting in Cooktown it’s a short hop to Cairns, flying into controlled airspace for the first time on this journey. Wells interviews Alan Faggotter, an Airservices air traffic controller in Cairns Tower. He speaks about procedures in controlled airspace. The crew takes the opportunity to fly out to nearby Mareeba. Wells interviews Sally Scott about flying VFR aircraft in North Queensland and the unique environment and its birdlife surrounding the aerodrome. The team talk a walk through the Beck Museum where there are some pretty impressive warbirds on display. 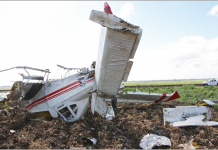 On a pilot rest day Wells interviews Tom McLaren, CASA’s Regional Manager North Queensland about working cooperatively with the aviation community and the recent surveillance sweeps in the area. Wells also speaks to CASA’s Colin Webb, a flight operations inspector, who talks about his work with heli-mustering operations in North Queensland. An interview with Lee Haskell, Air Whitsunday’s chief pilot. He talks about the special procedures of Shute Harbour aerodrome and how to fly safely into the airport. He also talks about his experience as a floatplane pilot. Wells speaks to Cameron Parker, a helicopter musterer from Alton Downs a, property outside Rockhampton, who talks about his work across Queensland and the heli-mustering safety messages he passes on to the people who fly for him. His pink helicopter (pictured) raises funds for breast cancer research. He also demonstrates his unique way of mustering cattle on his own property by using drones. Ron Creed from The Old Station talks about heli-mustering on his nearly 11,000 ha property. He also gives details on fly-ins as planes land on the 2000 metre grass strip next to the accommodation. The crew made sure they rang ahead to ask Creed to clear the runway of the Brahman cattle that graze nearby! Wells speaks to Nicole Kuttner from the Qantas Founders Museum in Longreach about the work that they do to preserve the history of Qantas and the early days of civil aviation in Australia. She talks about the shared history of the Royal Flying Doctor Service (RFDS) and Qantas with the fledgling airline loaning them aircraft and pilots. Wells also chats to Shona Daveson, the senior LAME at Longreach Aircraft Maintenance. 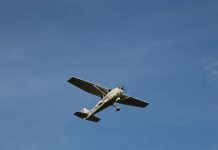 She talks about the challenging work of maintaining general aviation aircraft in the hot climate of Longreach and surrounding areas as well as the problems the mud-dauber wasp can cause. The crew film the Lake Keepit Soaring Club Grand Prix while Wells interviews Ian Downes, President of Lake Keepit Soaring Club about the gliding operations at Lake Keepit airfield near Tamworth in country NSW. 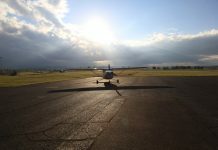 Rob Loneragan, owner of the Rylstone Aerodrome Air Park, is interviewed about the role of airparks in Australian general aviation and ALA in hilly terrain.